I was really excited to try it out, as I had seen quite a few pictures of people wearing it, and I loved the colour! Above is a photo taken without flash, and below a photo with flash. 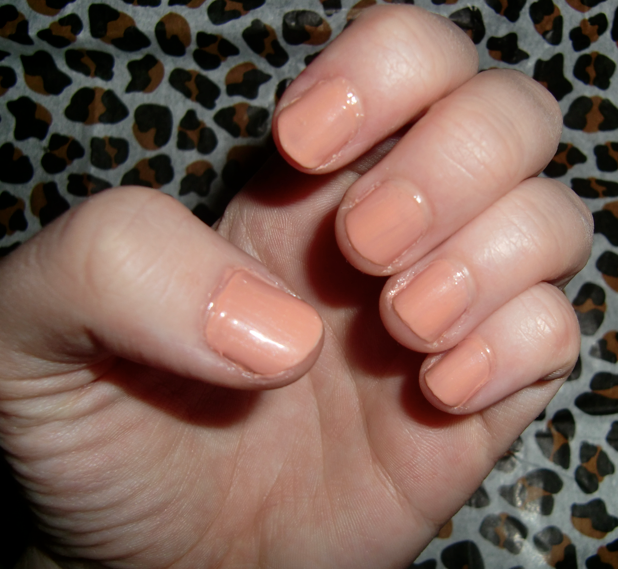 As you can see, it's really natural and subtle, as well as being bang on trend with being a pastel polish. It took two coats to achieve this look, and I do really like it. My only complaints are that after a good ten minutes, the polish hadn't completely dried, and I managed to scrape loads of it off my thumb without even realising. It was still very soft. This could be avoided with a decent top coat or clear polish on top. I also ended up with a major headache after applying... not sure if it's down to the fumes from the polish, or just a coincidence. I love the colour though, it's very pretty! Love this color... Very chic!